New owners have taken the helm of Dundas Arms, a charming Grade II listed Georgian property in the picturesque village of Kintbury, often voted in The Times as one of the top ten desirable villages. 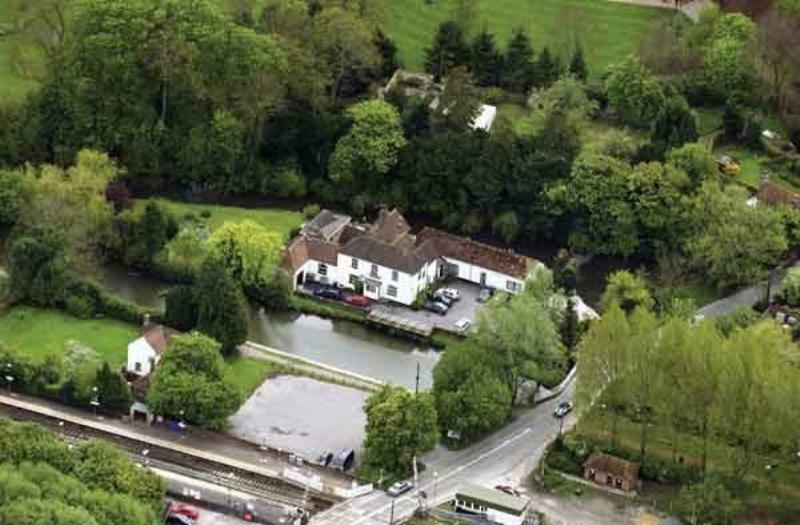 It stands against a backdrop of towering trees where the River Kennet meets the Kennet & Avon Canal – a prime spot for whiling away the time with some splendid food and drink. Don't be surprised to see ducks waddling past your feet as you sit at one of the wooden tables on the jetty. 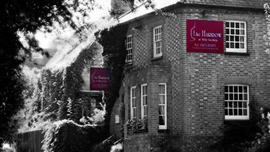 The heart of this country pub is their unique Victorian oak bar, topped in highly polished old penny pieces all minted in 1967, where you enjoy a drink before dining in their elegant restaurant. Across the hall from the bar, you will find their library with wingback chairs and comfy leather sofas, perfect for relaxing on a chilly winter day with a book by the roaring log fire. They also have a humidor with a selection of cigars together with a collection of fine wines, aged whiskeys and Cognac. Menus reflect the seasons and the abundance of local supplies, offering daily caught fish from the Kennet river, local game is dry-aged on the premises, fruit and vegetables are sourced from surrounding farms and gardens, and meat, fish and cheese are cold-smoked on site. The menu steers a course between traditional pub classics as well as dishes with a more modern creative flair. Typical offerings on the regularly changing carte might be a starter of warm salad of king scallops, Alejandro chorizo, roasted hazelnuts and coriander cress or pressed terrine of Chilton Foliat venison loin, foie gras, celeriac, plum chutney and brioche. Main courses embrace homemade local game pie with rabbit, pheasant, venison and braised spiced red cabbage or pan fried Loch Duarte fillet of salmon, sprouting broccoli, saffron potatoes, lobster sauce, Palourde clams. Desserts are hard to resist, witness a warm dark chocolate fondant, salted caramel ice cream and chocolate truffle or sticky toffee, date and banana pudding paired with hot toffee sauce and clotted cream. There are real ales on draught, try locally brewed Butts Golden Brown or Mr. Chubb's Lunchtime Bitter, as well as an excellent wine list featuring several options by the glass, and a first-class selection of clarets. Dundas Arms has eight stylish rooms should you wish to extend your stay.